This hand-made flipper from Jason Clark is a smooth, precise folder with great looks and action. 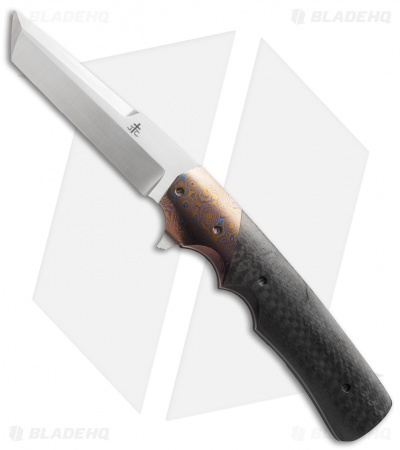 The handle has a drilled titanium frame lock and liner with carbon fiber scale and Moku-Ti bolster. The solid back spacer is filed stainless steel. The tanto blade has a satin finish. 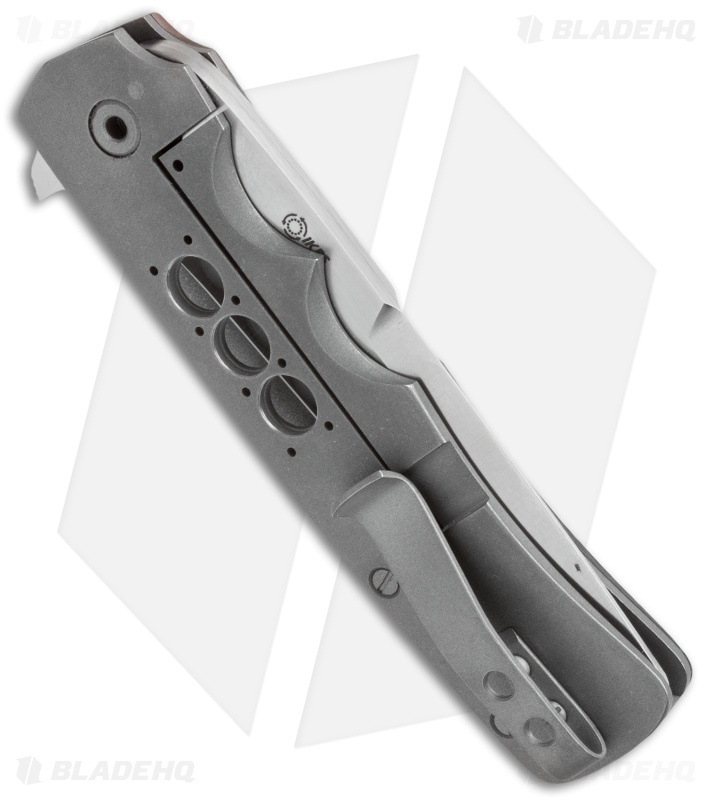 The blade opens with ease thanks to the IKBS bearing system. This Jason Clark folder is an excellent choice for everyday carry and comes with a tip-up carry titanium pocket clip.